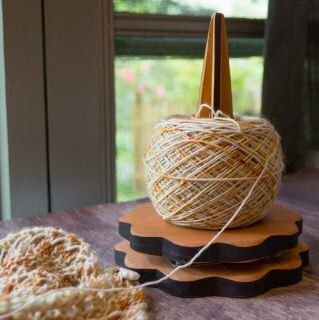 The Yarn Spinner holds your yarn while you work allowing you to smoothing pull as you go! Hannah's pieces are are handcrafted in Pennsylvania from local, sustainably harvested cherry trees. These pieces are warm, beautiful and sustainable!